Prior to the Westbury uprising, the coloureds seemed to have been swept off the slate of infrastructure development by government. 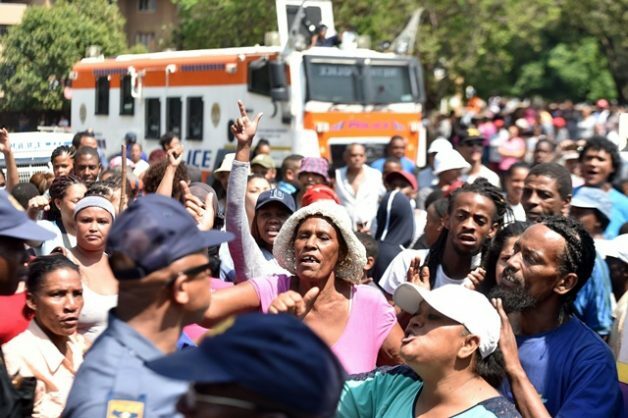 It took violent community protests, a lot of stone throwing and damage to property, including the petrol-bombing of a police vehicle at the tiny township of Westbury, for the ANC to wake up to see that the coloureds and Indians still exist in this land. 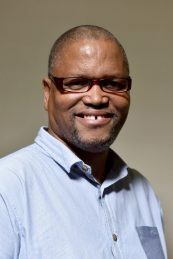 By its own admission, through the mouths of secretary-general Ace Magashule and Gauteng Premier David Makhura, the ANC had forgotten about these people – that they mattered and were voters who needed development and job creation projects. Driving through Westbury, you notice the only modern development: a Rea Vaya bus station. The rest is as it was prior to 1994. Even that bus stop appeared to be an inevitable by-pass for the rapid transit buses ostensibly to Soweto and the city. It’s no wonder the station was reduced to a pile of glass during the recent protests. I hate to define South Africa in terms of race especially since the dawn of our hard-won democracy and constitutional dispensation. But it irritates to see there are still pockets of oppression and neglect of certain sections of society – as if they never struggled or suffered the apartheid oppression like the rest of us. Prior to the Westbury uprising, the coloureds seemed to have been swept off the slate of infrastructure development by government. As someone who drives through that area daily, save for the Rea Vaya station, no earth-moving machine ever came near Westbury to do mere excavation to start civil improvement. The streets and residential hostel dwellings remain dilapidated since they were inherited from the white rulers as a project to cram communities into high-rise slums. The neighbouring Newclare also needs more than cosmetic attention in the form of the storm water drainage system recently done there. The place needs a complete revamp and environmental clean-up around the crowded residential flats at Davey Road. There gangsterism also haunts the residents. At times you ask yourself why deploy a whole army of police at nearby Westbury and leave out Newclare, which suffers the same scourge? Newclare, small as it is, produced its own struggle heroes – if that’s a criteria for service delivery. According to History Online, this suburb and Westbury were part of the Western Areas, along with Sophiatown and Martindale. The Western Townships were a hive of anti-apartheid resistance activities, fronted by the ANC and the Communist Party, before Africans were evicted between 1955 and 1963. Comparing Westbury or any other coloured township to Soweto will be unfair. Soweto was turned into a city since 1994. Every street is tarred and there are shopping malls everywhere. The area was designed to be a tourist attraction hive. Have we forgotten the Western Townships – that included Westbury and Newclare – gave birth to Soweto? There is a huge neglect of the West Rand by the Gauteng government and the Joburg Metro. All its townships, like Kagiso, Tshepisong, Mathole, Princess and suburbs and CBDs of Roodepoort, Florida and Maraisburg need massive improvement. I don’t think authorities ever had the West in mind when they conceptualised infrastructure development. The planned future Gautrain route that would go via Roodepoort was an after-thought. Yet there is a good potential for new Rea Vaya routes connecting all. Let the small struggle of the Westbury people be a catalyst for the big revival of the neglected West Rand.